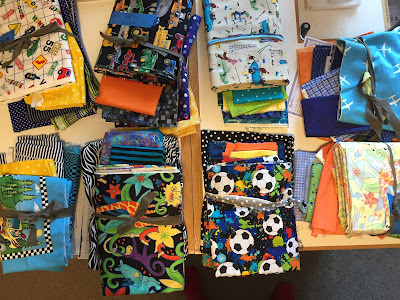 My favorite is the soccer ball fabric although the grands picked the monkey fabric. 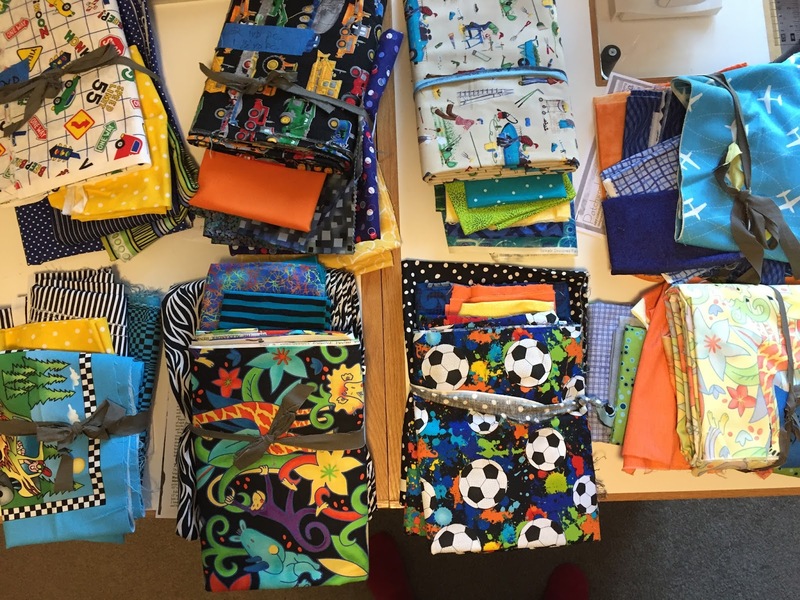 Kudos to you for taking time to stitch quilts for others in need. I too know a gal who ONLY stitches charity quilts. It is good that there all kinds of quilters out and about in our world!